The lidded whistle pot on the shelf of your kitchen can be the most essential part of your kitchen. Probably some childhood distant memory of food splattered at every corner in the kitchen is preventing you from using the pressure cooker again. But it is now the safest method of cooking. 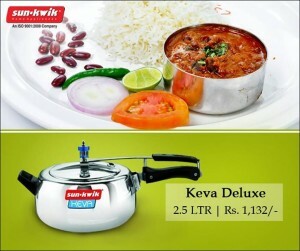 It is true that pressure cooker is the best alternative when it comes to fast cooking. But this is not all what pressure cooker offers. Rather there are some other ways that can make your pressure cooker work like wonder. If you are thinking of discovering some magic path that can make your cooker work like magic you are absolutely at the right place. 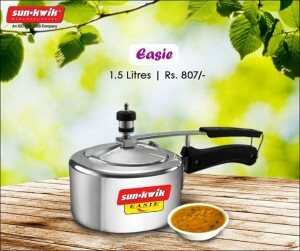 While you are buying online pressure cooker keep these tips in mind for a better result from your pressure cooker. 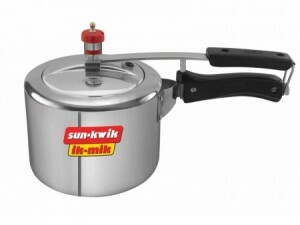 • For more intense flavor from pressure cooked food here is your solution. Put a very little oil in the cooker and put the vegetables in a small amount. Brown them and put them on the bowl. Your next task is to deglaze the cooker. Clean the part of remaining oil, wine, water and vegetable extracts. Now put the vegetables again for more intense flavor. • Check the liquid before you put the cooker on the stove top. As you will be cooking in an enclosed pot where heat will be trapped to cook or boil faster, it is never a good idea to add as much water as you do with open pot cooking. More water than what is needed will extend the vaporization process and thus will cause over boiling of the food. • Too much food in a pressure cooker is a strict no. It is always advisable that you fill the cooker with food not more than two third of it. You may activate the safety valve of the cooker. It happens especially if the cooker is over filled with food. • Use stop and go method cooking. When you are cooking meat cooking it first then move it aside. Add peas or green vegetables cook that a bit and after that add the half cooked meat and then finish cooking together. Use these tips for better result and enjoy pressure cooking.